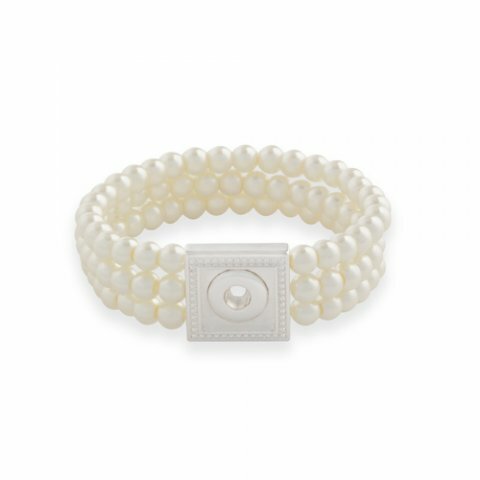 Three strands of lustrous pearls encircle your wrist for a glamorous look. The showy, detailed frame holds one Style Square or one Original Dot for even more richness in beauty. Dot frame measures 7/8" square.